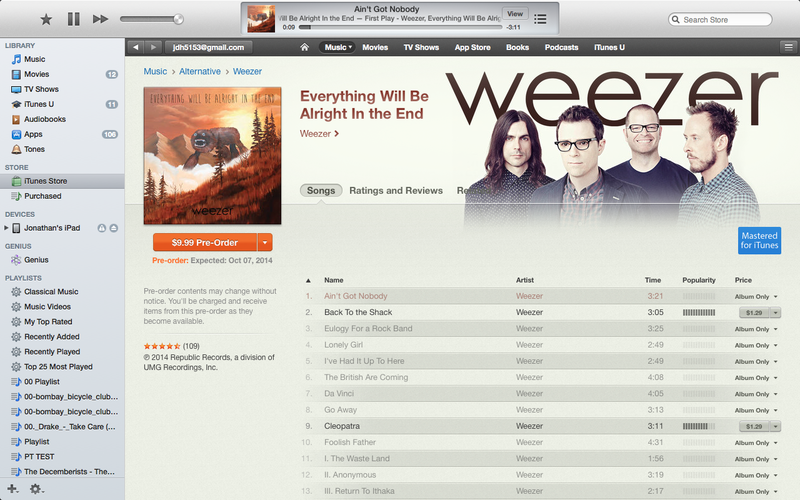 You can now listen to Weezer’s upcoming Everything Will Be Alright In the End on iTunes for free! Check it out here! I have yet to give it a complete listen, but I’ll be checking it out after work tonight. I already pre-ordered the vinyl LP and can’t wait to get home and give it a listen on my turntable when it arrives. “Back to the Shack” is already one of the best Weezer songs I’ve heard in quite awhile, so I’m excited to listen to the rest of the album. Everything Will Be Alright In the End is set to be released on October 7th. Be sure to head to their Pledge Music page and pre-order the album in a variety of formats and packages. Yesterday Gerard Way released his first album since the breaking up of My Chemical Romance in 2013. I always enjoyed listening to My Chemical Romance right up until the end (The Black Parade is Dead! is probably my favorite concert DVD of all time, I absolutely love their stage presence) so I was excited to hear there would still be new music post MCR. 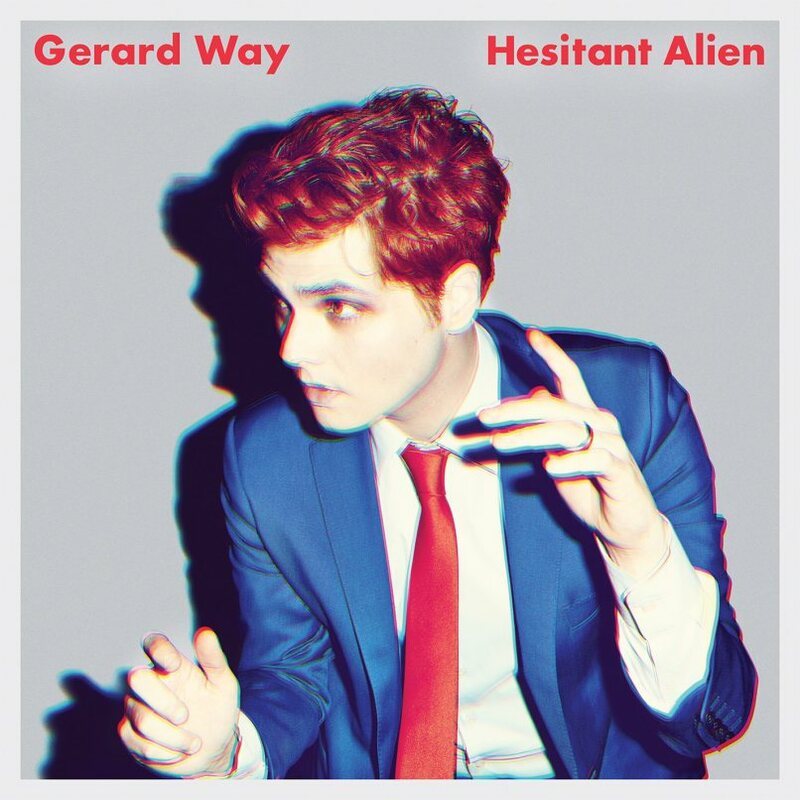 Hesitant Alien starts with the heavily distorted “The Bureau” which chugs along overpowering the shouted vocals, and it almost sounds like something that could’ve come from Danger Days. It works well as an intro track, but the rest of the album sounds quite differently. “Action Cat” is upbeat and peppy and Way’s vocals on the track remind me a lot of the track “Lust for Life” by Girls. I definitely like the sound. It’s quite catchy even as the guitar track continues to overpower the vocals. The album definitely has more of a pop feel (with a bit of alt rock thrown into the mix) with tracks like “No Shows” and “Millions”, yet I enjoy it quite a bit. I love Way’s voice and it continues to be hypnotizing on this album. There are hints of MCR here and there, but there’s enough of a unique direction it’s understandable that he had to part ways with the band. The stand out track that I can’t stop listening to from the album is “Brother”. I love the piano and steady drum beat building up to a hypnotic chorus. It’s an absolutely beautiful song, and I’m sure I’ll be listening to it over and over for quite some time. I definitely recommend giving the album a listen whether you were a My Chemical Romance fan or not. There’s definitely a lot to like on Hesitant Aliens. 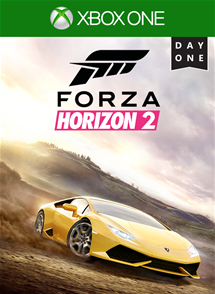 It’s been quite awhile since two must buy games released on the same day, but the stars have aligned today in a sense with both Middle-Earth: Shadow of Mordor and Forza Horizon 2 seeing release. I had been quite excited for both these games and from my early impressions, neither has disappointed. I absolutely love the Forza series, nothing comes close in the racing game genre. I never really enjoyed other ‘street’ or off the closed track racing games until the first Forza Horizon came around. Forza Horizon took everything great about the Forza series (authentic looking, sounding and handling cars, and all around great racing) and brought it off the track and it was a blast. I loved all of the different challenges in the world and the online multiplayer was amazing. Forza Horizon 2 takes influence from Forza 5 and Forza Horizon and brings it to a new open world that’s absolutely stunning from what little I’ve seen of it so far. First of all it’s worth noting that Drivatars return in Forza Horizon 2. I saw a lot of my friend’s drivatars in the first few races I did (they also show up in the open world) and since I only knew one other person to be playing Forza Horizon 2 so far it seems that they’re pulling Drivatars from Forza 5 and bringing them over to Forza Horizon 2 which is nice as it populates the world and gives you something more than just AI to race against. Some other new additions to Forza Horizon include more realistic rain and cross country (off road) racing. The rain effects in Horizon 2 are pretty neat, especially while driving with the inside the car view (which honestly is the only view you should be using in Forza games!). You’ll even see your windshield wipers at work which is a neat little addition. Cross country races have you cutting through deep patches of grass and other plant life, navigating between trees (some of which are destructible) and other obstacles in between sections of asphalt or dirt road. It’s crazy looking out from within your car because you’ll find it hard to see anything and it’s an absolute thrill attempting to navigate between obstacles and other cars while trying to make your way to the front of the pack. I have yet to try out any of the online features, but I’m excited to give them a try tomorrow. If they’re anything like the original Horizon I’m sure they’ll pack hours of fun. Lastly, one of my favorite features from Forza Horizon is still around in Horizon 2. Everytime you level up you’ll get a chance to ‘spin the wheel’ where you can be rewarded with varying amounts of credits (including some large amounts) or even a brand new car! It’s a fun and addicting feature that’ll keep you racing toward that next driver level. 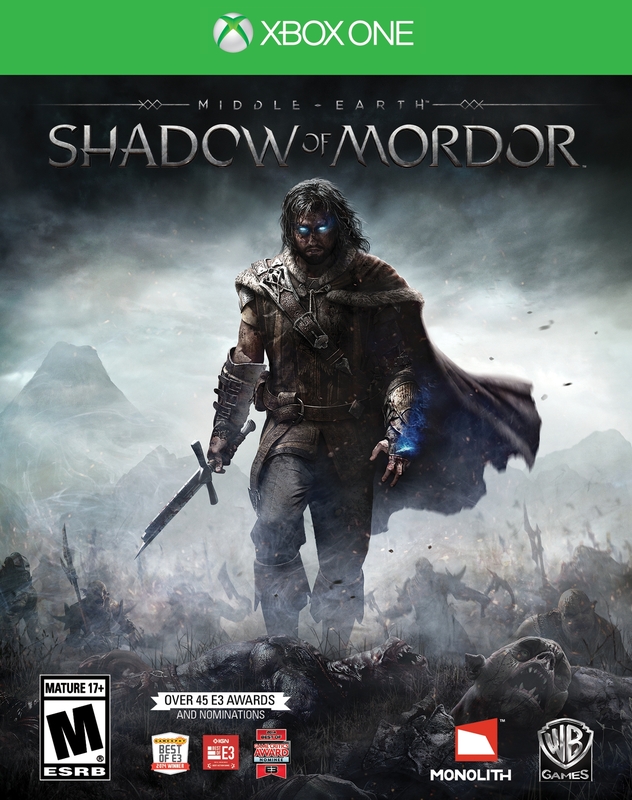 Tonight I played about two hours of Shadow of Mordor on the Xbox One and enjoyed it quite a bit. I managed to kill off a few Captains, but also ran into some very sticky situations and managed to die three or four times already. I’ve had fun so far, but I started to get frustrated toward the end of my two hours. I completed the first two story missions (or 2 of 3 that were available) and enjoyed those. I managed to die mostly because of mistimed button presses and the fact that I tend to play most video games poorly in the first place (unfortunately there’s no difficulty adjustment in Shadow of Mordor). I’m never any good at timing dodges right, especially when you not only have to time dodges with ‘A’ but also counters with ‘Y’. I’ll do alright if it’s just one or the other, but when I’m being attacked by different enemies and have to use both I just can’t get the hang of it. Toward the end of my time with the game tonight I ran into a Captain who I didn’t have any intel on and probably shouldn’t have tried confronting him. He had some sort of ability that made my screen go red and constantly drained my health and I couldn’t figure out what was causing it or how to stop it. I’d run away and try to find some herbs to regain my health, but eventually he killed me off and I decided to take a break from the game for now. I really like the idea of the Nemesis system, where enemies in the game can be promoted based on their actions and become stronger and gain new abilities if they defeat you in combat. You’ll be certain to face them again later and they’ll certainly remember you. Also if you happen to defeat an enemy they may also return, beaten, battered and scarred and ready for their revenge. It’s a pretty cool system that I think will add hours of exciting gameplay as you’re tempted to try to topple them all. It’s worth noting that the genesis system is only available on current gen consoles (Xbox One, PS4, PC). I can’t imagine how the game plays on last gen systems, as I think the genesis system is a core part of Shadow of Mordor and what sets it apart from other hack and slash games. I look forward to diving deeper into Shadow of Mordor and hopefully figuring out how to overcome the Captain’s who haven slain me thus far. 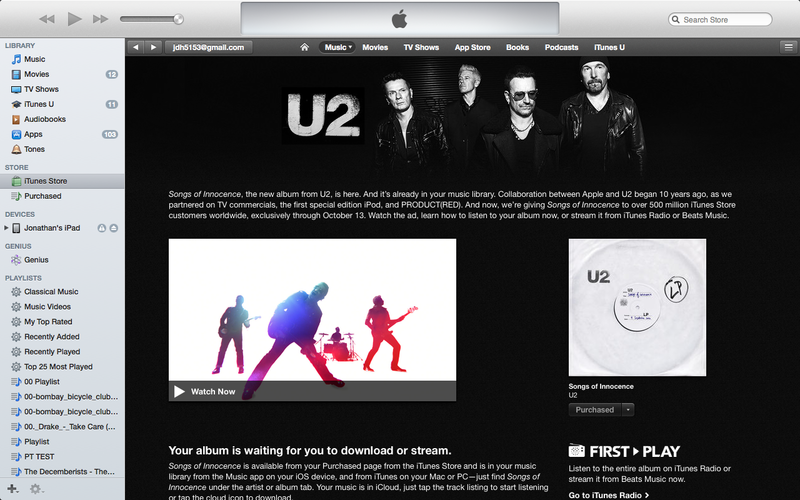 I’ve never actually sat down and listened to U2 before. I’ve heard their songs and have a good idea of what they sound like but I’ve never listened to any of their albums, or really actually paid attention to any of their songs. A lot of people love U2, I’ve just always known they’re not a band for me. Heck all I even know about U2 is they have hugely popular concerts, Bono wears sunglasses all the time and they seem to be involved in a lot of causes and world politics (whether this is true or not I couldn’t say). 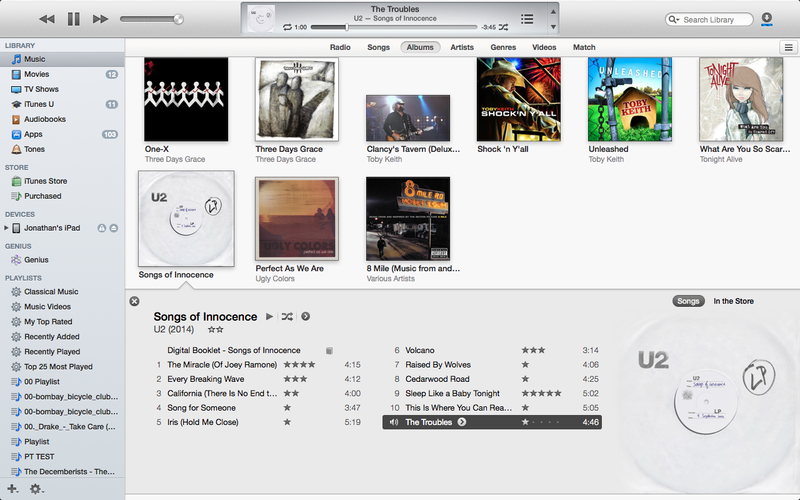 U2 has been in the news a lot lately because Apple in a sense ‘bought out’ their thirteenth album Songs of Innocence and released it to half a billion iTunes users for free during their iPhone 6 reveal. Who doesn’t like free music? Well apparently the internet doesn’t. People immediately complained that the album snuck into their iTunes libraries unwanted. Personally, I feel the complaints are absolutely absurd and there will always be someone out there who will complain about anything. They could’ve given a $10 iTunes gift card to everyone in the world and somewhere out there on the internet someone would find a way to complain about it. Since I’ve never listened to U2 before I’ve decided I’d give the album a listen and write down a few thoughts about it. So here we go, I’m hitting play. Aside from a handful of moments, (“The Miracle (Of Joey Ramone)”, “Volcano” and “Sleep Like a Baby Tonight”) I can’t say I’ve found much to like in this album. Most of it sounds unremarkable, background music that falls apart when listened to closely. Reading the lyrics in the digital book as I listen doesn’t help. Most everything just comes off as boring. The parts I like most is when Bono doesn’t sound like Bono. “Sleep Like a Baby Tonight” and the verses of “Volcano” stand out as favorites (not a huge fan of the chorus). I like the darkness in his voice in those two songs in particular. The verses of “Volcano” even have a slight Marilyn Manson sound vocally which I love. If the rest of the album had more of that dark sound and less of the typical, soaring sound that has bored me for years without even having had to listen to a U2 album. I rated every song as I listened, and going off of the iTunes star rating Songs of Innocence gets 2 out of 5 stars based off my first listen. Seeing as how I’ve never listened to any other U2 album I can’t really say whether this is a particularly good or bad U2 album. 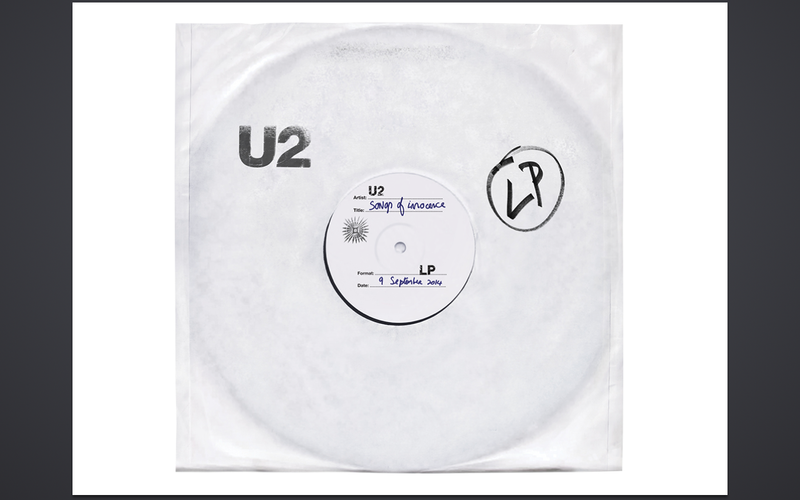 I read in TIME that U2 sees this album as one of their best, so it may just be that I don’t like U2. The film Once quickly became one of my favorite movies of all time, even though I’m still not quite sure how I even found out about it (this was about 2 years or so ago). The music by Glen Hansard is absolutely breathtaking, and the story is incredible. It’s worth watching for the music alone, but trust me the entire movie is beautiful. 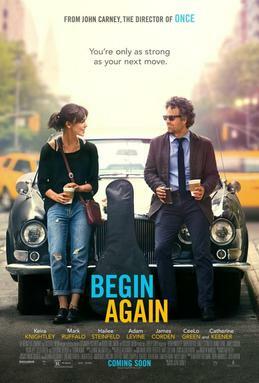 That said, to find out John Carney (who wrote and directed Once) also wrote and directed Begin Again sealed the deal, I knew I was going to watch it. Begin Again stars Mark Ruffalo, Keira Knightley and Adam Levine (Maroon 5, The Voice) and like Once is a story about music, relationships and navigating the highs and lows in life. The music is enjoyable, the story is heartwarming and the acting is quite wonderful throughout. 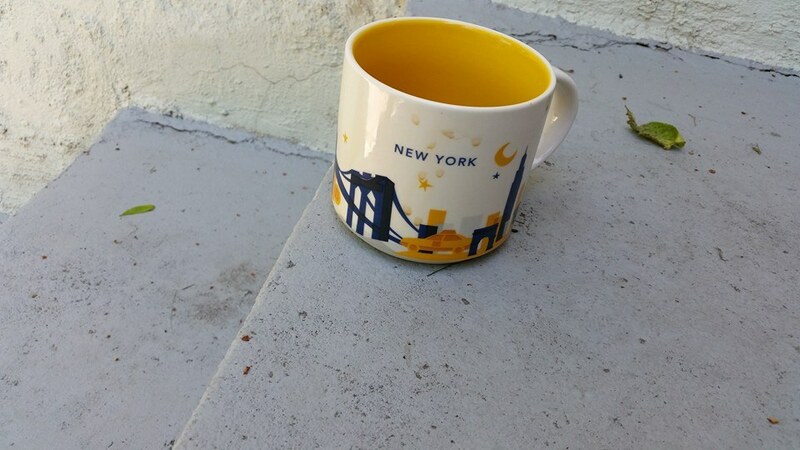 I love the setting (New York just happens to be my favorite city in the world) and again the music is just as great as the city. I highly encourage you to see Begin Again if you loved Once, and if you haven’t seen either I recommend you see both as soon as possible. This afternoon I enjoyed a few of my favorite things on a Sunday in Korea. Enjoying coffee and the New York Times became a weekly tradition last spring, and I’ve managed to continue to enjoy the tradition through my travels in Hawaii and Korea this summer. 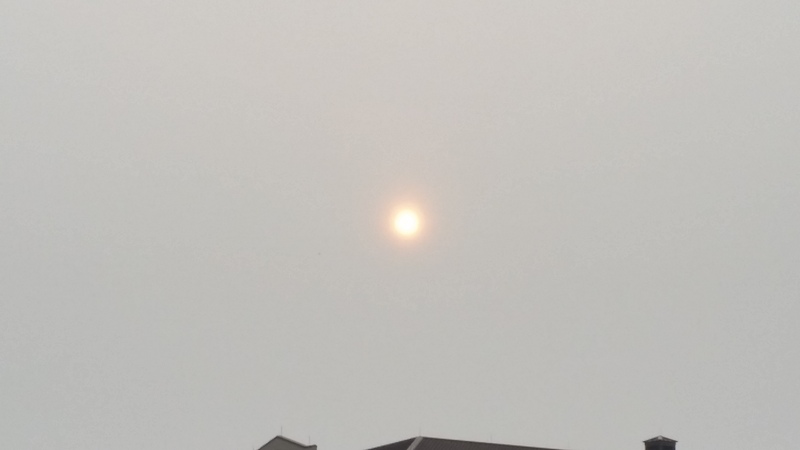 The setting sun glows in the hazy sky above the dorms. Unfortunately the Fall favorite Pumpkin Spice Latte hasn’t arrived at the Osan Starbucks yet, but the French Vanilla Latte is just as tasty. 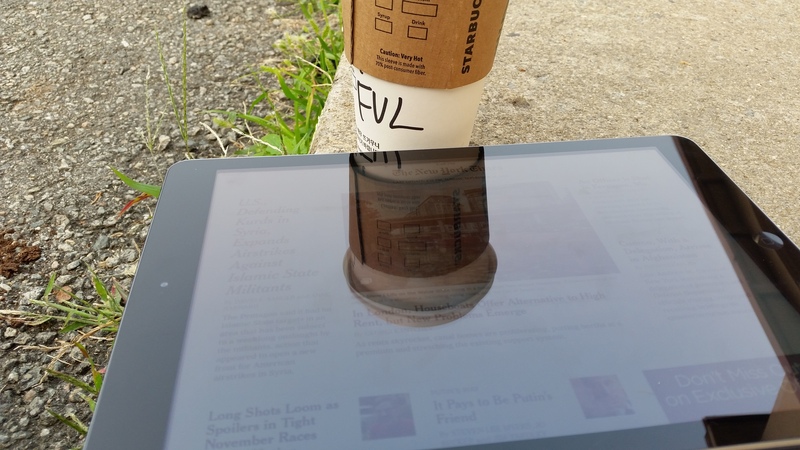 I love reading the ‘paper’ (in digital form of course) while enjoying a wonderful Starbucks beverage, especially while sitting outside. I miss sitting out and watching the trees and the cars back home, but it’s been nice to enjoy a relaxing hour each Sunday as I’ve counted down the days until I return (soon!). 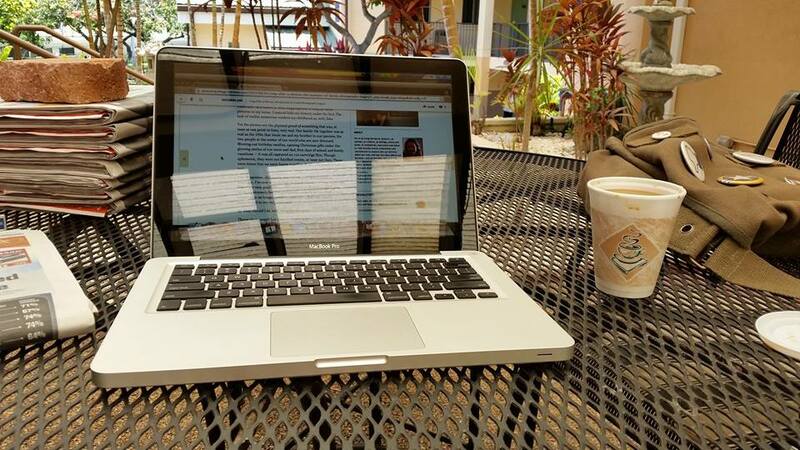 Enjoying the NYT and hotel coffee in Hawaii. Coffee in one of my favorite mugs on the steps back in Boise.